Slim and sleek, this rectangular leg dining table is a smart addition to the dining room in your home. 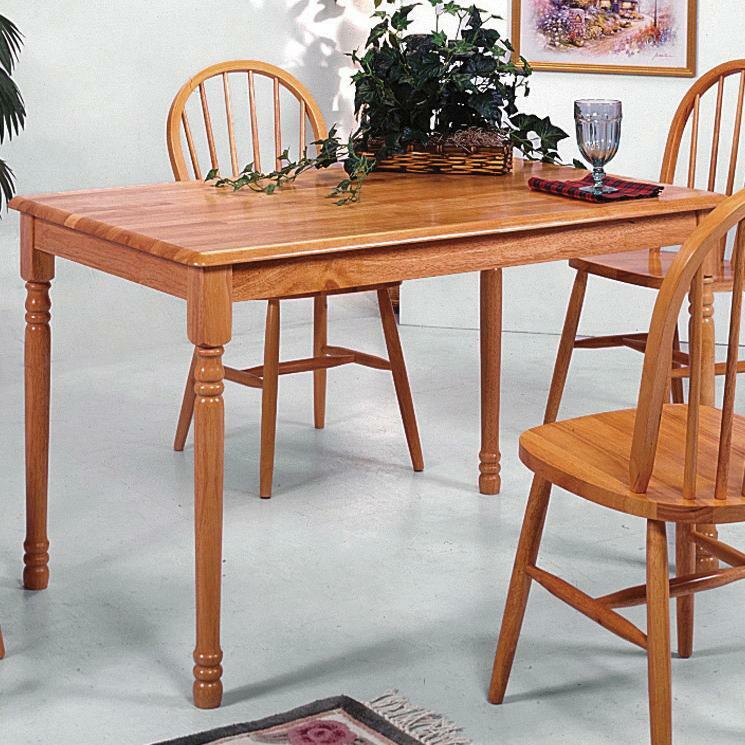 Featuring turned legs, with a sturdy wooden table top, this table comfortably seats up to four adults. Pair this table option with the coordinating side chairs to complete the look. The Windsor Solid Slim Rectangular Leg Dining Table by Rooms Collection One at Rooms Furniture in the Houston, Sugar Land, Katy, Missouri City, Texas area. Product availability may vary. Contact us for the most current availability on this product. Case Detail Smooth, clean edges. Description: Top Smooth table top with clean edges. This solid casual dining collection features a multitude of gorgeous options, including turned and tapered legs, stabilized chairs, spindle backs, and solid wood construction. 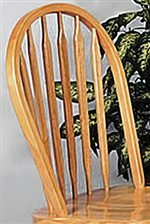 This dining collection is constructed to last in your home for years to come, and is made available in a variety of finish options, to accommodate a multitude of styles and home decors. Some pieces feature sleek and gorgeous tiled tops. Bring this collection into your home today, and add lasting gathering and dining furniture to your life. The Windsor Solid collection is a great option if you are looking for Casual furniture in the Houston, Sugar Land, Katy, Missouri City, Texas area. Browse other items in the Windsor Solid collection from Rooms Furniture in the Houston, Sugar Land, Katy, Missouri City, Texas area.